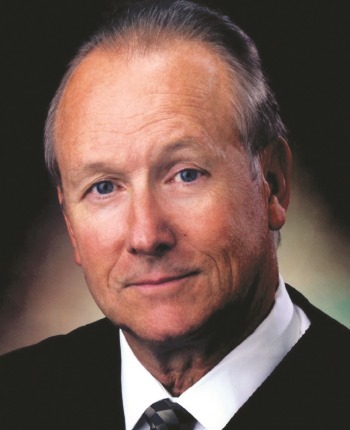 Justice Jackson was a judicial officer for nearly 25 years, serving most recently as an Associate Justice on the Court of Appeal from 2008 until his retirement in 2013. During his service with several divisions of the appellate court, he filed hundreds of decisions, including People v. Erik and Lyle Menendez. More than 20 of his appellate decisions were published. As a Los Angeles County Superior Court Judge in Lancaster from 1993-2008, he handled a civil calendar for the second half of his tenure, making him an ideal choice as a mediator, arbitrator or discovery referee. Adjunct Professor/Instructor: Business law and employment law, La Verne University (1997- 2013). Business law and real estate law, Antelope Valley College, Lancaster, CA (1974- 2008). Business law, constitutional law and criminal justice, Golden Gate University, San Francisco, CA (1974-1992). Business/contract, discovery, employment, family law, personal injury, real estate. During five years as an Associate Justice on the Court of Appeal, Second Appellate District, Division Seven, Justice Jackson's chambers typically filed eight to 10 opinions each month. Prior to his service on the appellate court, Justice Jackson served as a Justice Pro Tem in Division One from August- November 2006 and from January 2007 to April 2008. He also served earlier stints as a Justice Pro Tem in the Second Appellate District from September-December 1992 and September 1997 to January 1998. From February 1993 to June 3, 2008, he served on the Los Angeles County Superior Court in Lancaster, where he was Supervising Judge of the North District from 1995 to 2001. He was a member of the court's Executive Committee in 2002, 2003, 2006, and 2007. From 1990-1993, he was an Antelope Municipal Court Judge in Lancaster. Before being appointed to the bench, Justice Jackson was an attorney with the law firm of Cosgrove, Michelizzi, Schwabacher, Ward and Jackson, where he specialized in family law. Justice Jackson is available throughout California.